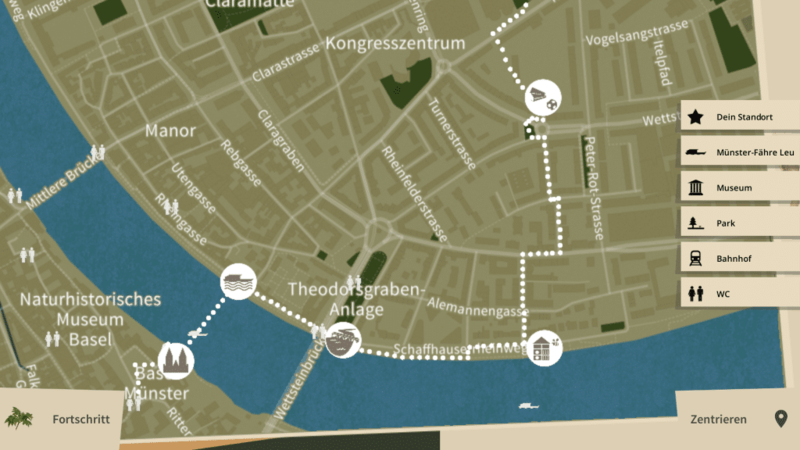 «Basler StadtNatour» is an interactive guide and companion app through the nature of Basel city. The app is available for free for iOS in the App Store and for Android on Google Play. 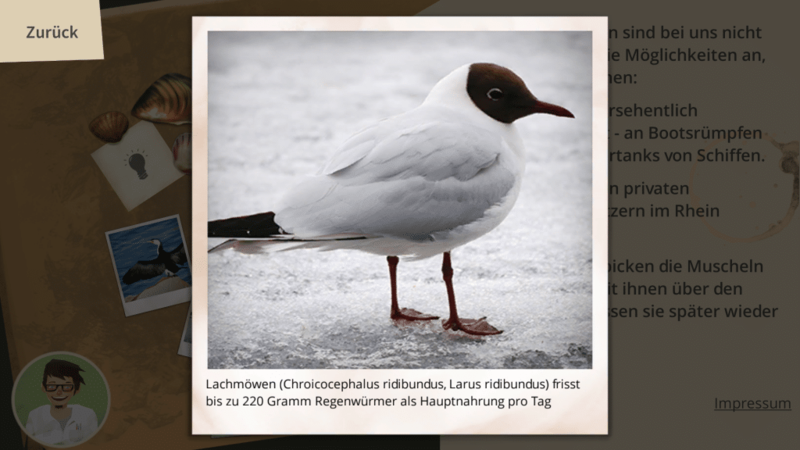 For the Stadtgärtnerei (Department of Parks and Recreation) of the city of Basel, we created the «Basler StadtNatour» app that invites users to explore the breath-taking flora and fauna of Basel’s nature. With the help of GPS, the digital character Jonathan guides you with extensive audio dialogs from the Pfalz over the Rhine river to the Lange Erlen animal park. On the journey, the interested public can investigate on site for real and get further facts from the app’s fact collection to solve a fun and informative quiz. Interactive elements include 360° panorama photos of the stations, an interactive simulator on how to build a wooden hotel for bees and a biodiversity counter to keep track on the number of species inhabiting the riverbank at Basel’s Rhine. For the city of Basel and with the support of Basel-based company Syngenta, we created the mixed-reality app. The concept, content development, graphics and technical implementation have been directed and produced by Gbanga, Millform Inc. Over the course of the project, we have offered consulting for gamification and design. 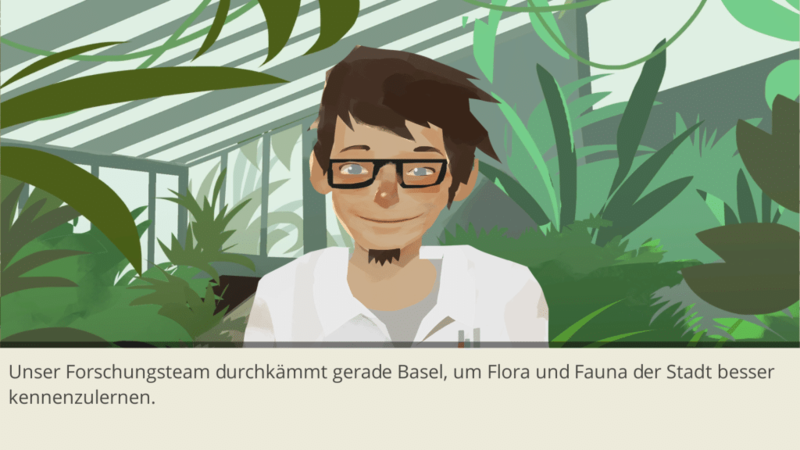 The city of Basel authored the quiz questions and audio drama to ensure scientific accuracy. The app has been developed with the game engine Unity 3D. The dialog system has been implemented with our own audio dialog framework. 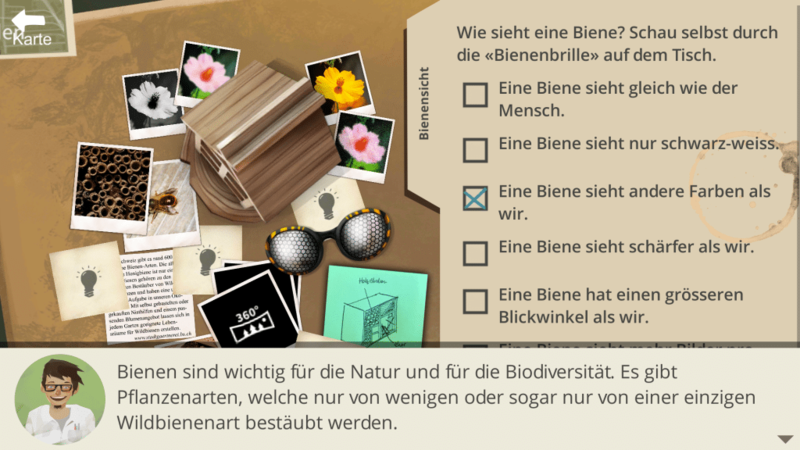 The app «Basler StadtNatour» is a great way to learn about the topic of biodiversity in an appealing and interactive way. 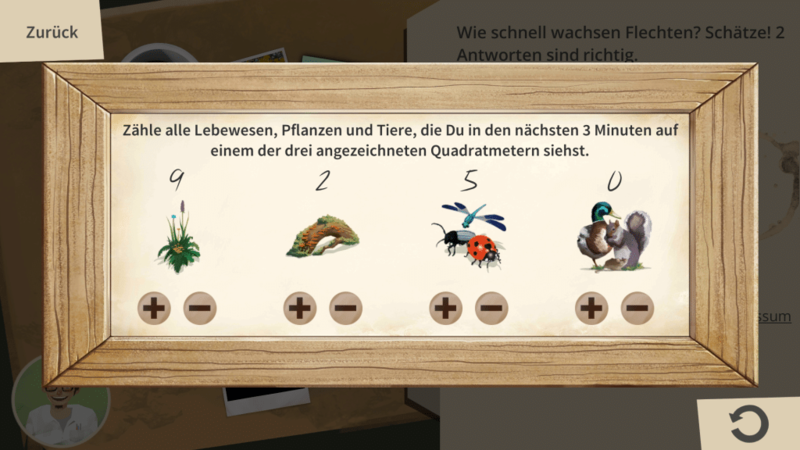 The puzzles and fun dialogs help the player to discover facts in their own individual pace while creating common topics to discuss while walking through the streets of Basel. With the discovery app «Basler StadtNatour», the city of Basel offers an innovative tool for guests and visitors to discover places and aspects of the city they would miss without such a playful app and enhances the overall experience for tourists in Basel.